Father Z addressed the US Frontiers staff on May 1, 2009. In this part he talks about the beginning of his ministry to Muslims. God poured into my heart a special love for Muslims, although they killed my elder brother in 1948. God opened a wide door to reach Muslims through some small books which I wrote about the Trinity, the Incarnation of God in man, Jesus Christ, the Crucifixion of Jesus Christ and the infallibility of the Bible using some quotations from the Qur’an. All these things which are apologetics, defending our faith. Father Zakaria saw more than 500 Muslims come to faith in Jesus during his brief ministry in Egypt. Eventually, he was exiled to Australia for preaching the gospel in that Islamic country. 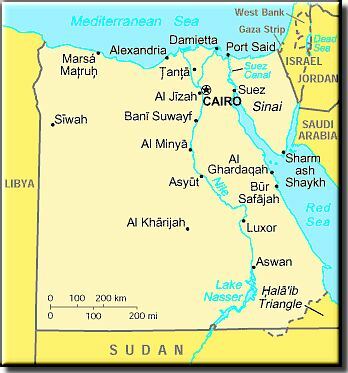 About 500 Muslims were converted to Christianity when I was in Egypt. I was put in jail twice I Egypt for preaching the Gospel to Muslims. The first time was for one year in 1981 – 1982. The second time would have been for life, but after four days in a dirty cell without food or drink I was forced into exile to Australia for three years. That was in 1989. I moved to England three years later, and there God opened the widest door for reaching the Muslims all over the world, even in Mecca in Saudi Arabia through the “Pal Talk Program” on the Internet. I don’t know if you heard about the “Pal Talk” or not. It’s a program for a chatting room but it’s not between two persons only, but many people can attend. We started with a room of 200 computers and around every computer there are two, three, or one. Now we have the room of 1,000 in attendance. Praise the Lord, and 1,000 people. Every week. I rented a room for 400 people to attend and it became 1,000 now. We have direct contact with attendees in Muslim countries. After giving a talk about a certain topic people can discuss whatever they want to discuss, freely asking questions and getting answers by the grace of God. I realized that about 10 – 20% of Muslims are very fanatic. And about 60-80% are insouciant and even ignorant of Islam. And about 10-20% are seeking for the truth. Those are my true targets. God wants all people to know him and be saved. But there are few chosen who are actually seeking God.